Teachers are among the most memorable people we meet in life. And a Ridgefield teacher who produced many great memories — and great students — was Adam Salvo, who taught art at RHS for nearly 40 years. Michael Adam Salvo was born in New Haven in 1935 and graduated from what is now Southern Connecticut State University. He went on to earn a master’s degree at Columbia University, received a degree in art from the Ecole des Beaux-arts at the Palais de Fontainebleau in France, and studied at the National Gallery of Art in Washington, D.C. 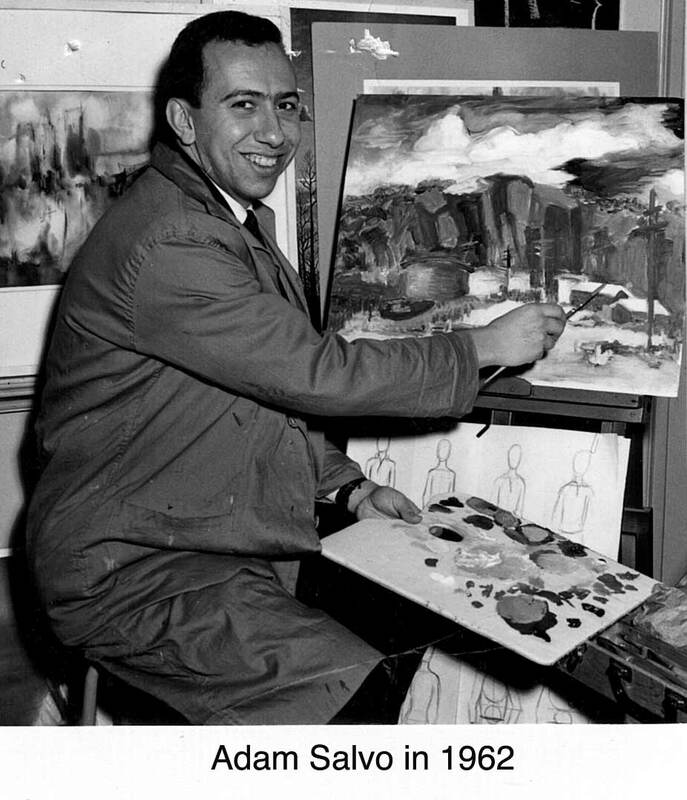 He began teaching at Southern Connecticut State in 1957, but two years later came to Ridgefield High School where he soon created and taught the school’s first art history course. He also taught painting and other fine arts, became chairman of the Art Department, and over the years he fostered many young artists. Salvo was active in the Aldrich Museum, and was a founder in 1993 of the museum’s Student Docent Program, which began with just two schools in Ridgefield and 10 years later involved 45 schools in 16 towns. The program trains and provides students to serve as docents at the museum. In 2006, the Aldrich staged a show, called “Homecoming.” Exhibiting artists Damian Loeb, Sarah Bostwick and Doug Wada, all with studios in New York, shared what The New York Times called “a seminal experience”: They each had studied art under Salvo at Ridgefield High School. Salvo was a longtime Ridgefield resident, living first on Rockwell Road and then on Oscaleta Road. He retired from teaching in 1996. Over the years he had many shows of his own works, including at Silvermine Guild of Artists, Yale University, and, of course, the Ridgefield Library. Salvo was 77 years old and living in Guilford when he died.